4400300 A308 LIEBHERR A308 Wheel Excavator Spare parts catalog. Operator's Manual. Service Manual and additional technical information for repair and operation. 4400301 A309 Litronic LIEBHERR A309 Litronic Wheel Excavator Spare parts catalog. Operator's Manual. Service Manual and additional technical information for repair and operation. 4400302 A309 TCD Litronic Tier 3A LIEBHERR A309 TCD Litronic Tier 3A Wheel Excavator Spare parts catalog. Operator's Manual. Service Manual and additional technical information for repair and operation. 4400303 A310 LIEBHERR A310 Wheel Excavator Spare parts catalog. Operator's Manual. Service Manual and additional technical information for repair and operation. 4400304 A310B LIEBHERR A310B Wheel Excavator Spare parts catalog. Operator's Manual. Service Manual and additional technical information for repair and operation. 4400305 A311 Litronic LIEBHERR A311 Litronic Wheel Excavator Spare parts catalog. Operator's Manual. Service Manual and additional technical information for repair and operation. 4400306 A311 TCD Litronic Tier 3A LIEBHERR A311 TCD Litronic Tier 3A Wheel Excavator Spare parts catalog. Operator's Manual. Service Manual and additional technical information for repair and operation. 4400307 A312 LIEBHERR A312 Wheel Excavator Spare parts catalog. Operator's Manual. 4400308 A312 Litronic LIEBHERR A312 Litronic Wheel Excavator Spare parts catalog. Operator's Manual. Service Manual and additional technical information for repair and operation. 4400309 A312 TCD Litronic Tier 3A LIEBHERR A312 TCD Litronic Tier 3A Wheel Excavator Spare parts catalog. Operator's Manual. Service Manual and additional technical information for repair and operation. 4400310 A313 TCD Litronic Tier 3A LIEBHERR A313 TCD Litronic Tier 3A Wheel Excavator Spare parts catalog. Service Manual and additional technical information for repair and operation. 4400311 A312 LIEBHERR A312 Wheel Excavator Spare parts Catalog. Service Manual and additional technical information for repair and operation. 4400312 A314 Litronic LIEBHERR A314 Litronic Wheel Excavator Spare parts catalog. Operator's Manual. Service Manual and additional technical information for repair and operation. 4400313 A314 TCD Litronic Tier 3A LIEBHERR A314 TCD Litronic Tier 3A Wheel Excavator Spare parts catalog. Operator's Manual. Service Manual and additional technical information for repair and operation. 4400314 A316 Litronic LIEBHERR A316 Litronic Wheel Excavator Spare parts catalog. Operator's Manual. Service Manual and additional technical information for repair and operation. 4400315 A316 LIEBHERR A316 Wheel Excavator Spare parts catalog. Service Manual and additional technical information for repair and operation. 4400316 A316 TCD Litronic Tier 3A LIEBHERR A316 TCD Litronic Tier 3A Wheel Excavator Spare parts catalog. Operator's Manual. Service Manual and additional technical information for repair and operation. 4400317 A317 TCD Litronic Tier 3A LIEBHERR A317 TCD Litronic Tier 3A Wheel Excavator Spare parts catalog. Service Manual and additional technical information for repair and operation. 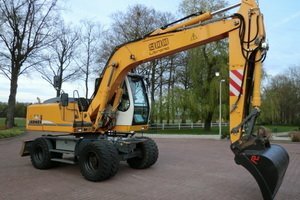 4400318 A900 Litronic LIEBHERR A900 Litronic Wheel Excavator Spare parts catalog. Operator's Manual. Service Manual and additional technical information for repair and operation. 4400319 A900 LIEBHERR A900 Wheel Excavator Spare parts catalog. Operator's Manual. Service Manual and additional technical information for repair and operation. 4400320 A900B Litronic LIEBHERR A900B Litronic Wheel Excavator Spare parts catalog. Operator's Manual. Service Manual and additional technical information for repair and operation. 4400321 A900B LIEBHERR A900B Wheel Excavator Spare parts catalog. Operator's Manual. 4400322 A900C Litronic LIEBHERR A900C Litronic Wheel Excavator Spare parts catalog. Operator's Manual. Service Manual and additional technical information for repair and operation. 4400323 A900C Litronic Tier 3A LIEBHERR A900C Litronic Tier 3A Wheel Excavator Spare parts catalog. Operator's Manual. Service Manual and additional technical information for repair and operation. 4400324 A900C LIEBHERR A900C Wheel Excavator Spare parts catalog. Operator's Manual. 4400325 A902 Litronic LIEBHERR A902 Litronic Wheel Excavator Spare parts catalog. Operator's Manual. Service Manual and additional technical information for repair and operation. 4400326 A902 LIEBHERR A902 Wheel Excavator Spare parts catalog. Operator's Manual. Service Manual and additional technical information for repair and operation. 4400327 A904 Litronic LIEBHERR A904 Litronic Wheel Excavator Spare parts catalog. Operator's Manual. Service Manual and additional technical information for repair and operation. 4400328 A904C Litronic LIEBHERR A904C Litronic Wheel Excavator Spare parts catalog. Operator's Manual. Service Manual and additional technical information for repair and operation. 4400329 A904C Litronic Tier 3A LIEBHERR A904C Litronic Tier 3A Wheel Excavator Spare parts catalog. Operator's Manual. Service Manual and additional technical information for repair and operation. 4400330 A912 Litronic LIEBHERR A912 Litronic Wheel Excavator Spare parts catalog. Operator's Manual. Service Manual and additional technical information for repair and operation. 4400331 A912 LIEBHERR A912 Wheel Excavator Spare parts catalog. Operator's Manual. Service Manual and additional technical information for repair and operation. 4400332 A912 EW Litronic LIEBHERR A912 EW Litronic Wheel Excavator Spare parts catalog. Operator's Manual. Service Manual and additional technical information for repair and operation. 4400333 A914 Litronic LIEBHERR A914 Litronic Wheel Excavator Spare parts catalog. Operator's Manual. Service Manual and additional technical information for repair and operation. 4400334 A914B Litronic LIEBHERR A914B Litronic Wheel Excavator Spare parts catalog. Operator's Manual. Service Manual and additional technical information for repair and operation. 4400335 A914C Litronic Tier 3A LIEBHERR A914C Litronic Tier 3A Wheel Excavator Spare parts catalog. Operator's Manual. Service Manual and additional technical information for repair and operation. 4400336 A918 Compact Litronic LIEBHERR A918 Compact Litronic Wheel Excavator Spare parts catalog. Service Manual and additional technical information for repair and operation. 4400337 A922 Litronic LIEBHERR A922 Litronic Wheel Excavator Spare parts catalog. Operator's Manual. Service Manual and additional technical information for repair and operation. 4400338 A922 LIEBHERR A922 Wheel Excavator Spare parts catalog. Operator's Manual. Service Manual and additional technical information for repair and operation. 4400339 A924 Litronic LIEBHERR A924 Litronic Wheel Excavator Spare parts catalog. Operator's Manual. Service Manual and additional technical information for repair and operation. 4400340 A924 HD Litronic LIEBHERR A924 HD Litronic Wheel Excavator Spare parts catalog. Operator's Manual. Service Manual and additional technical information for repair and operation. 4400341 A924B Litronic LIEBHERR A924B Litronic Wheel Excavator Spare parts catalog. Operator's Manual. Service Manual and additional technical information for repair and operation. 4400342 A924B-HD Litronic LIEBHERR A924B-HD Litronic Wheel Excavator Spare parts catalog. Operator's Manual. Service Manual and additional technical information for repair and operation. 4400343 A924C Litronic Tier 3A LIEBHERR A924C Litronic Tier 3A Wheel Excavator Spare parts catalog. Operator's Manual. Service Manual and additional technical information for repair and operation. 4400344 A942 LIEBHERR A942 Wheel Excavator Spare parts catalog. Service Manual and additional technical information for repair and operation.